Corrosion Resistant Pump – These pumps are resistant to the damage from harsh chemicals. Typically constructed with stainless steel, corrosion resistant pumps are the top choice for processing harsh chemicals. Centrifugal Pump – These commonly-utilized pumps are less expensive than other pumps and utilize energy efficiently. If the material of construction is titanium or stainless steel, these pumps are an effective option for processing chemicals. Mechanical Pump – Our high-quality mechanical pumps utilize pistons, claws, scrolling spirals, and diaphragms to move chemicals through your facility quickly and improve your operational efficiency. Pump Parts – Along with the right chemical pump, pump parts like gearboxes, strainers, motors, drives and more will need to be combined to create a highly effective pump system. Many of our parts are constructed with titanium carbide and tungsten carbide. We take the quality of our American-assembled low pressure and high pressure pumps very seriously, so we carefully inspect each one to identify any defects before the pumps are shipped out to your facility. Our multi-point inspection process takes a look at the exterior of each part and the construction of the chemical pump. In this way, we can catch issues with cover plates, impeller shafts, O-rings, and any other element of your corrosion resistant pump. Our services go far beyond part selection and pump installation assistance. 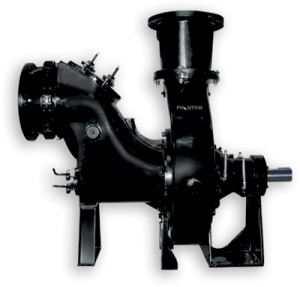 We offer repair and maintenance services on all of our pumps, and we offer comprehensive cross-referencing assistance. Our products are manufactured to exceed industry standards and perform better than higher-priced models. Better still, our pumps and parts are manufactured to be compatible substitutes for genuine manufacturer parts, which can save you money on your chemical pump in-house repairs. If your fluid processing facility operates in Georgia, Louisiana, Ohio, Texas, Virginia and elsewhere throughout the USA, contact Phantom Pumps today to learn more about how you can reduce your operation costs. We can help you find a high-quality chemical pump that meets your needs and improves your facility’s efficiency.